On December 1st, 2016, the Enforcement Section of the Massachusetts Securities Division filed an administrative complaint against former LPL Financial broker Roger S. Zullo. The complaint alleges that Mr. Zullo, a Boston-based financial adviser, forged sensitive financial documents and intentionally pushed his clients into unsuitable investments. Authorities allege that he did this simply to increase his own commissions. Additionally, this complaint also alleges that Mr. Zullo’s employer, LPL Financial, bears some responsibility for the misconduct. According to authorities, LPL Financial negligently failed to put a stop to Mr. Zullo’s bad actions. Part of the reason for this was because the brokerage firm had weak oversight in place. Recently, the Boston Business Journal reported that LPL Financial settled the case with authorities for $3.7 million. While these sales certainly brought in large amounts of money for Mr. Zullo, they were bad investments for his customers. Indeed, in many cases, Mr. Zullo encouraged his customers to prematurely switch out of annuities that they already held and into these new investments. For many of his clients, this meant that they were struck with large and completely avoidable surrender charges. Even worse, for the vast majority of his clients, many of whom were retired or late in their career and were of moderate income, these variable annuities were never appropriate investments in the first place. Mr. Zullo was selling them annuities that were only suitable for investors who were young and of high income. As the majority of his clients did not fit this investment profile, Mr. Zullo actively tampered with their financial documents in order to make it look like they did. The Massachusetts Securities Division noted that in many cases, senior citizens were a target of his fraud. As an example, in one case, Mr. Zullo met with one of his clients, a retired former professional who was in his 80s and who had a cognitive impairment, and he encouraged this client to switch to a high-cost annuity. In order to get this transaction processed, Mr. Zullo had to actively alter this elderly customer’s financial records. He fraudulently decreased his age and increased his net worth. This type of elder financial fraud is especially heartbreaking and it remains far too common. Risky investments are simply not suitable for most senior citizen investors. Did You Lose Money Because of Unsuitable Investment Recommendations? 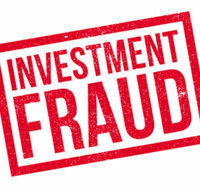 Our Miami investment fraud attorneys can help. At Carlson & Associates, P.A., we have extensive experience handling unsuitable investment claims. To schedule a review of your claim, please call our team today at 1-(305)-372-9700. We represent securities fraud victims throughout Florida, including in Fort Lauderdale and West Palm Beach.